Anglican prayer beads are made up of 33 beads divided into four groups of seven, called weeks, four cruciform beads, and an invitatory bead. 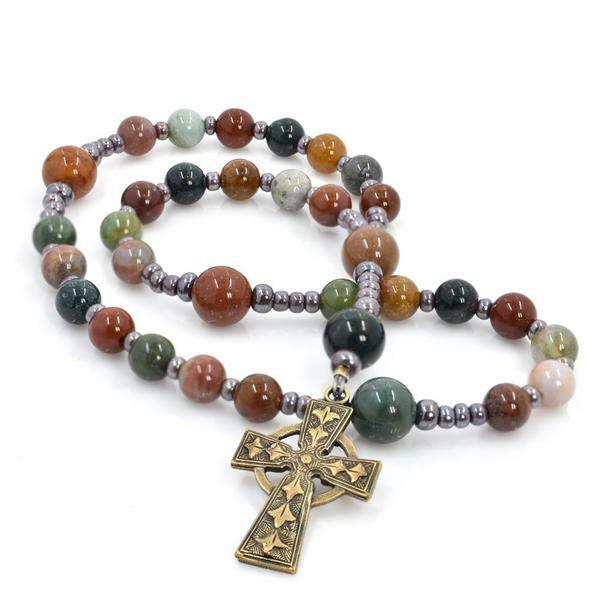 Fancy Jasper 6/8mm beads have 1" Celtic Aura gold oxidized finish cross. Beads are dark and light green, maroon, gold, and tan. Measures 8 1/2" from tip of cross to top of bead circle. 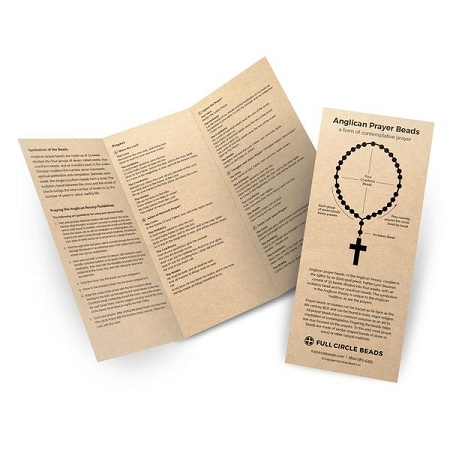 Included is a prayer bead guide. Handmade in the USA. Gift boxed.